With the OnTime Workflow Designer, you can automate improved communications between your customers and staff. The Workflow Designer allows you to create custom notifications that are automatically sent when you choose. For example, notifications can be set to email your customers when their order has been picked up, or SMS message your driver when a new shipment is placed into the unassigned queue. You are in control of who receives what information, in what format, when, and why. 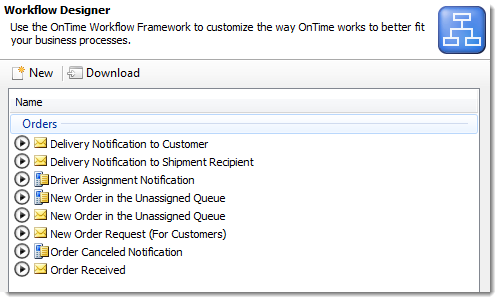 Customizations to basic notification information can be made simply via drop-down menus in the OnTime Workflow Designer. You can determine whether notifications occur for all or some of your customers (Scope), what will trigger the notification to send (Event), and what method of delivery will be used (Action). Template messages can be created using special fields in the Content sections. 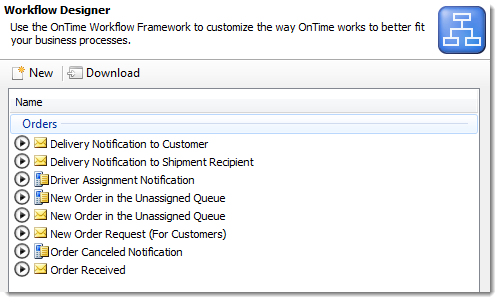 Before sending your notification, OnTime will automatically recognize and replace the special fields in the message with the appropriate information from the shipment. 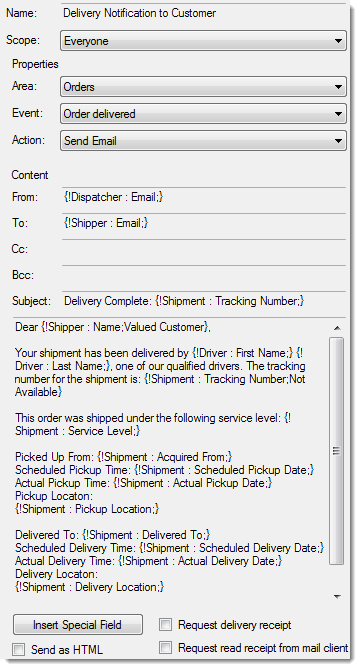 You may specify dynamic content in notifications by inputting special fields manually or by using the Workflow Designer’s Insert Special Field button. 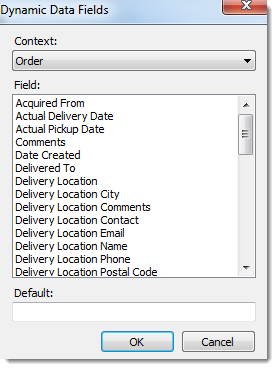 You determine where in your system the information for each special field is pulled from (i.e. : Order, Customer, Dispatcher, or Driver) and what information is used (for example, the customer’s name or email). 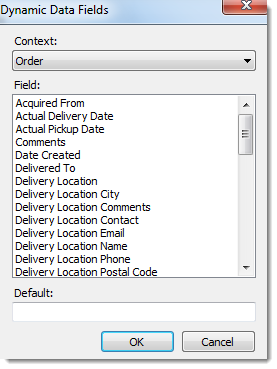 Additionally, each special field can have a Default value, which OnTime will automatically use whenever the information is not available. For example, if there is no name entered on a customer’s record, you can tell OnTime to automatically refer to the customer as “Valued Customer” or another default name of your choice. Customized and automated notifications created with the Workflow Designer are available to every OnTime subscriber. Contact us now to learn more about how OnTime’s Workflow Designer can help you. OnTime 360 courier software, provided by Vesigo Studios, recently added Webhooks to its OnTime API. I want to develop my courier systems for my trucking business (6 trucks) and want to have the automated notifications sent to clients etc. How do I go about setting this system i.e. quotes etc?